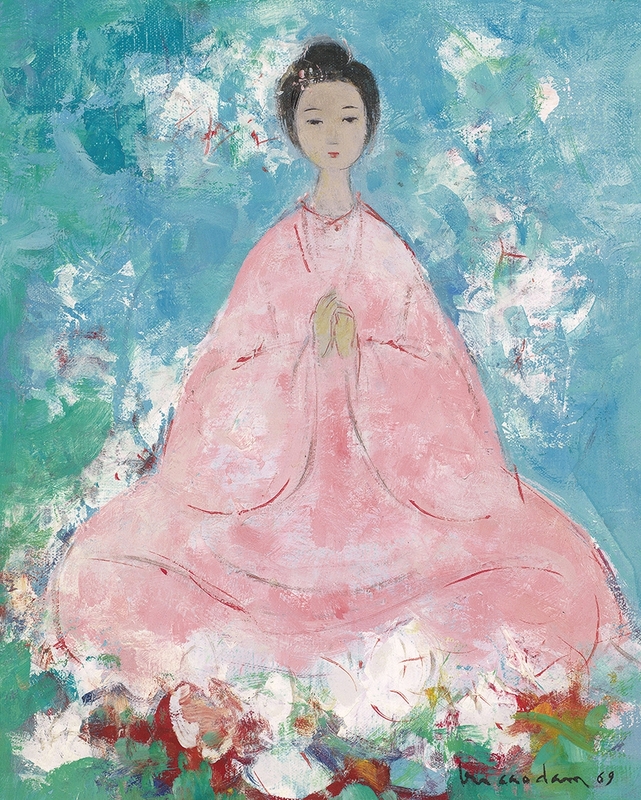 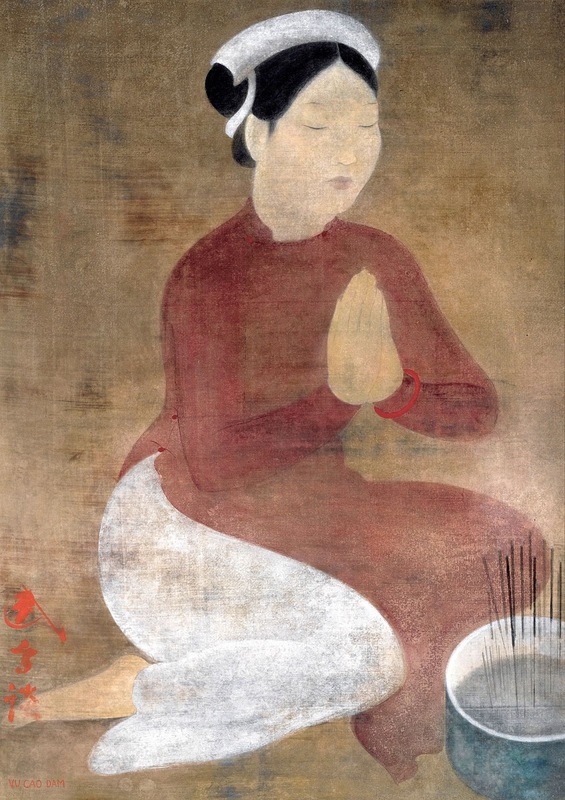 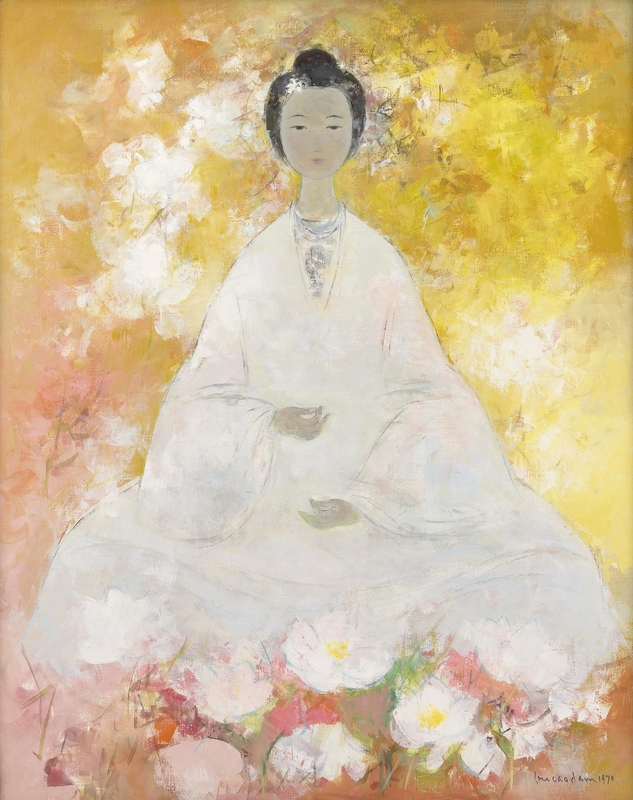 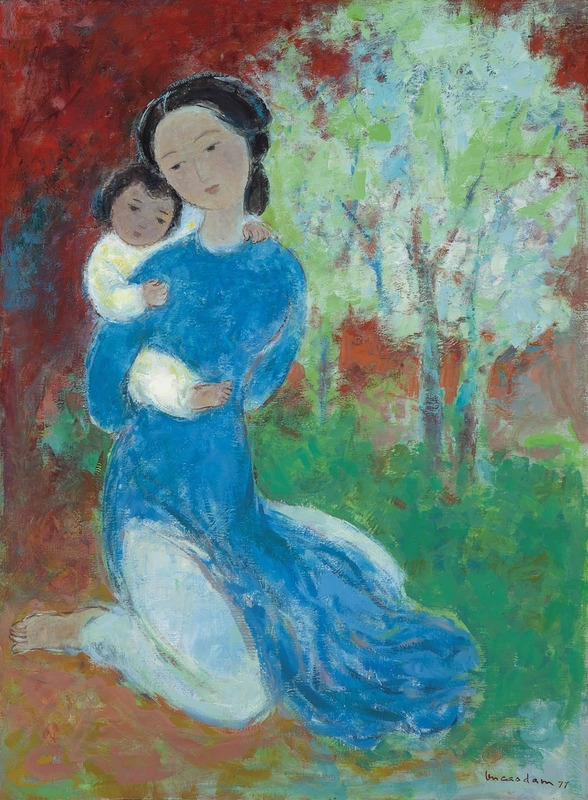 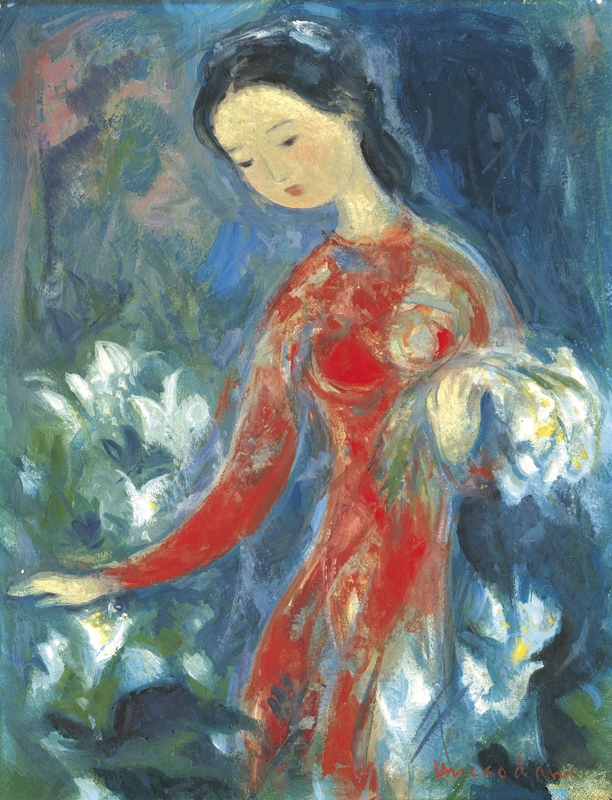 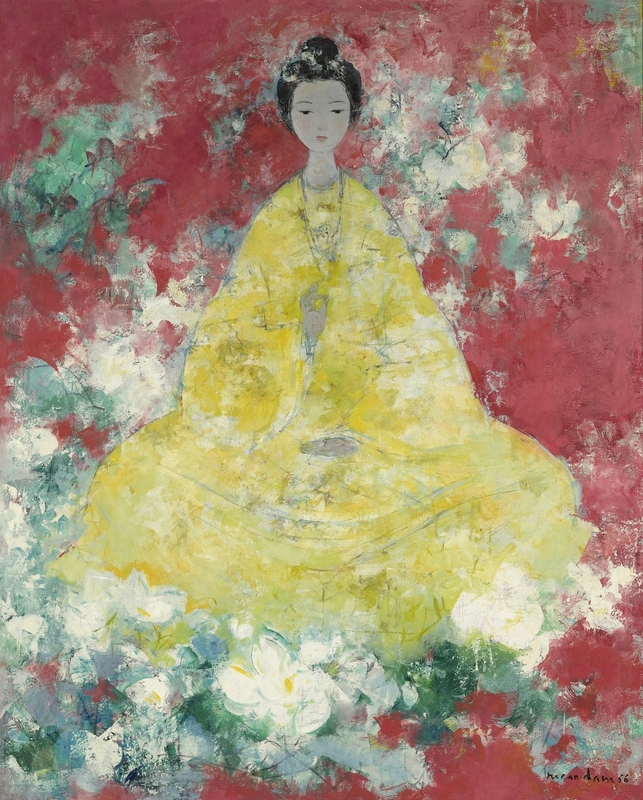 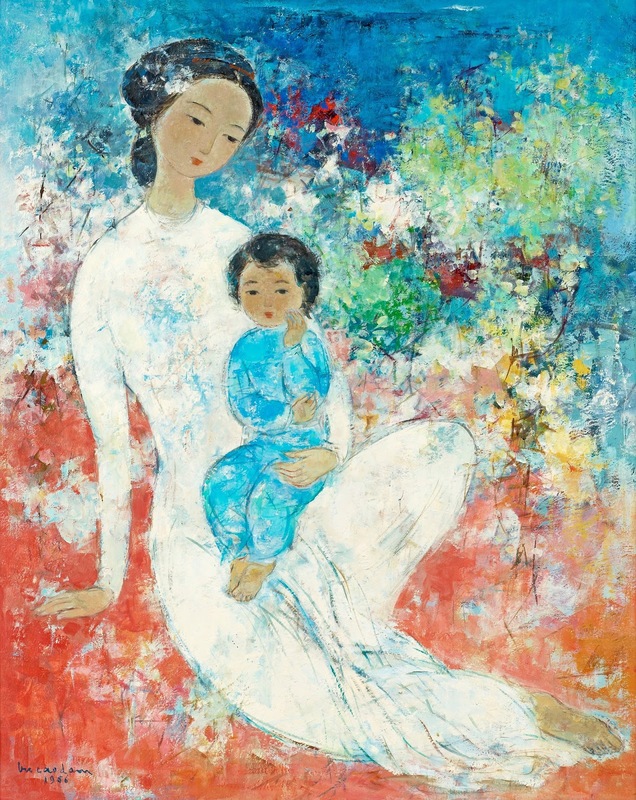 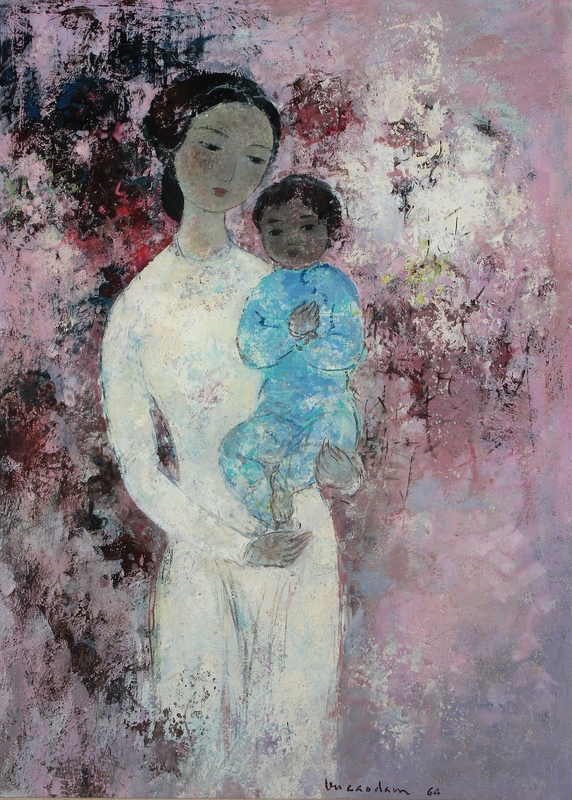 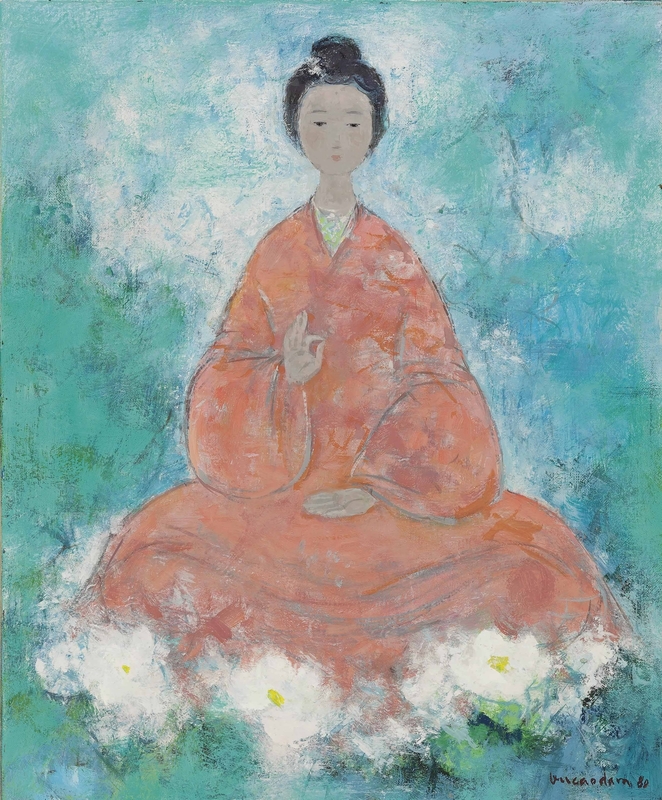 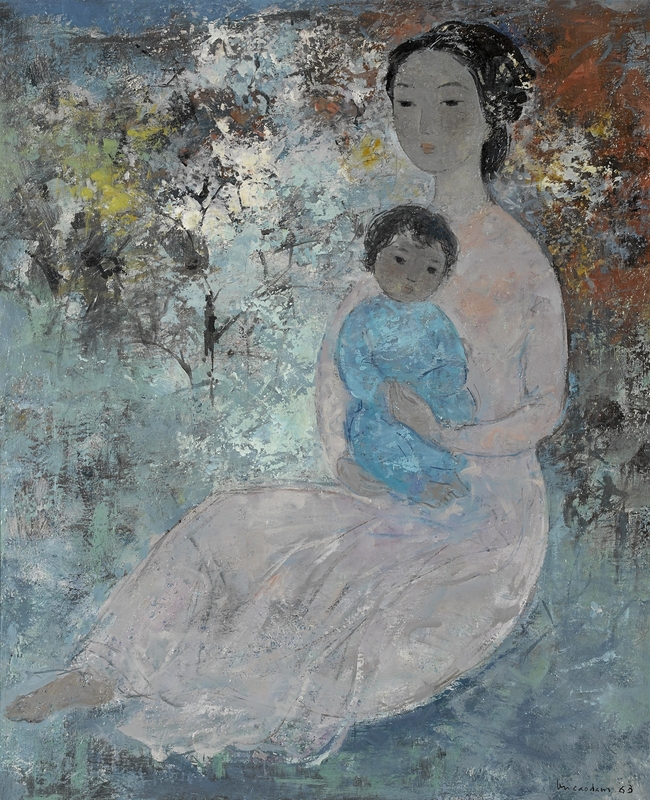 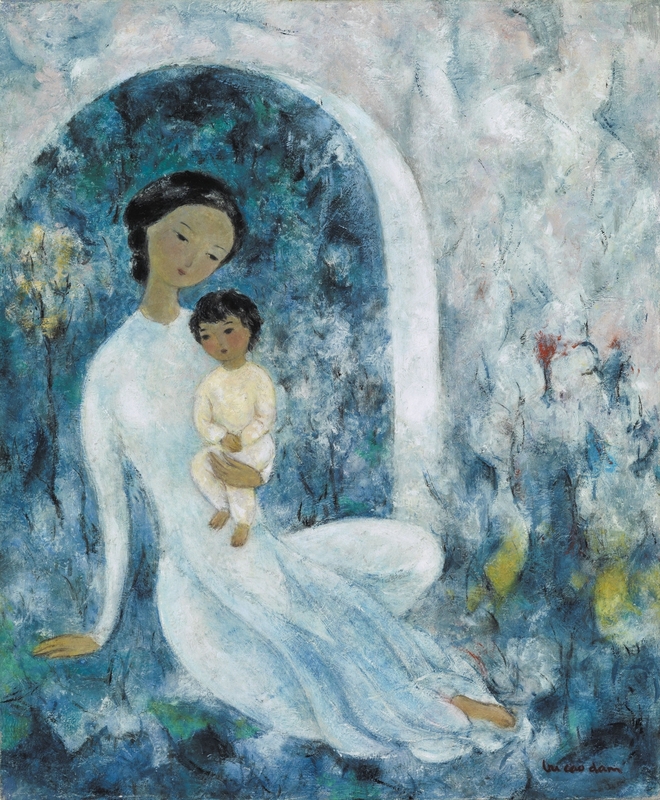 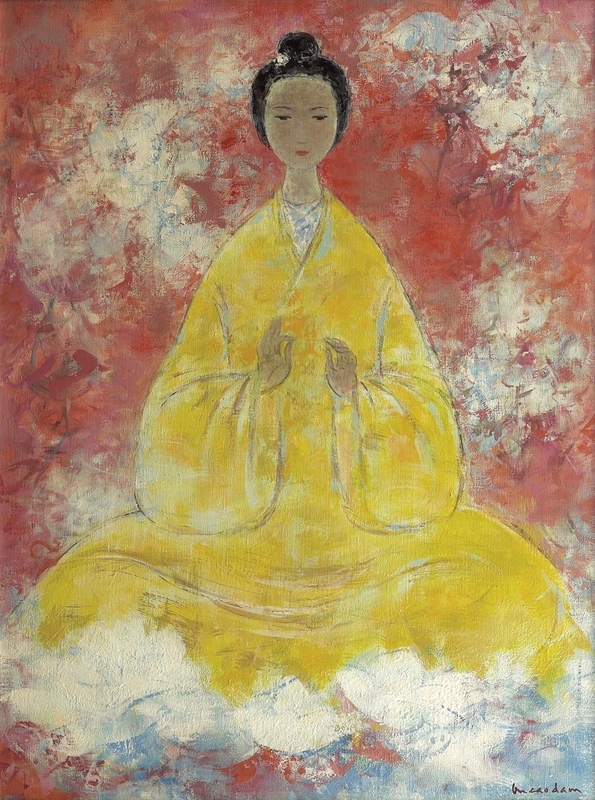 Vũ Cao Đàm (1908-2000) was a Vietnamese painter. 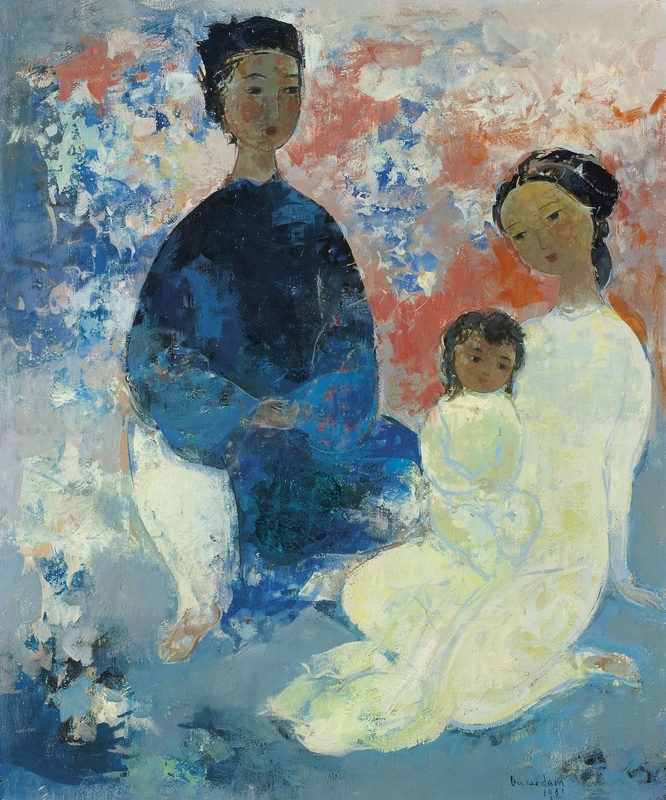 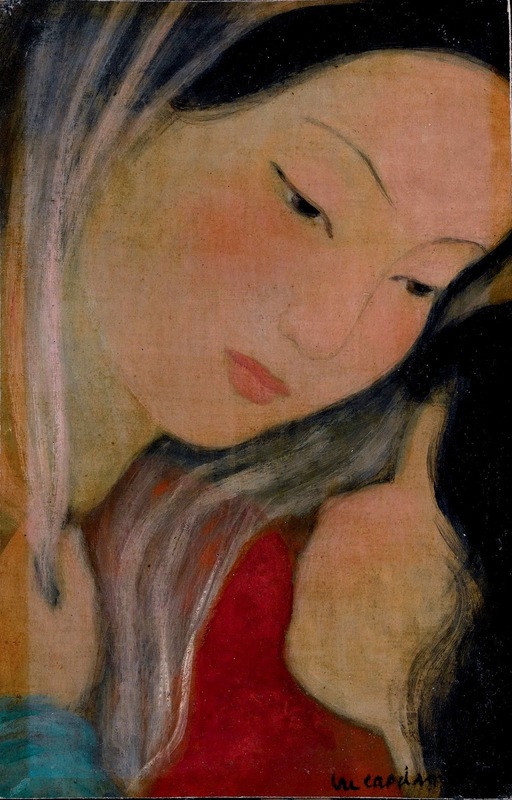 He was one of the alumni of Victor Tardieu's École des Beaux-Arts de l’Indochine in Hanoi in the 1930s, along with Mai Trung Thứ, Lê Phổ and woman painter Lê Thị Lựu to emigrate to France and make a career in Paris. 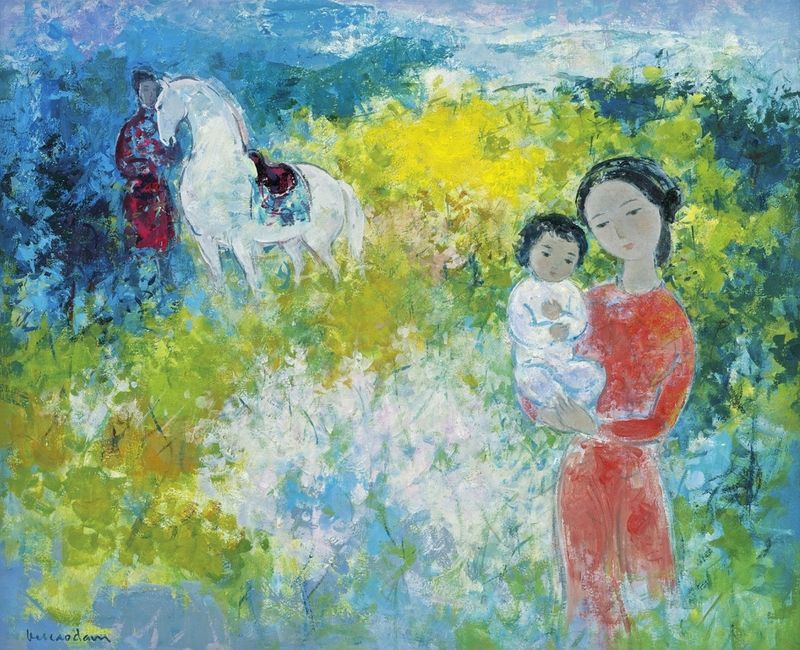 Vũ Cao Đàm was born on January 8, 1908 in Hanoi, Vietnam. 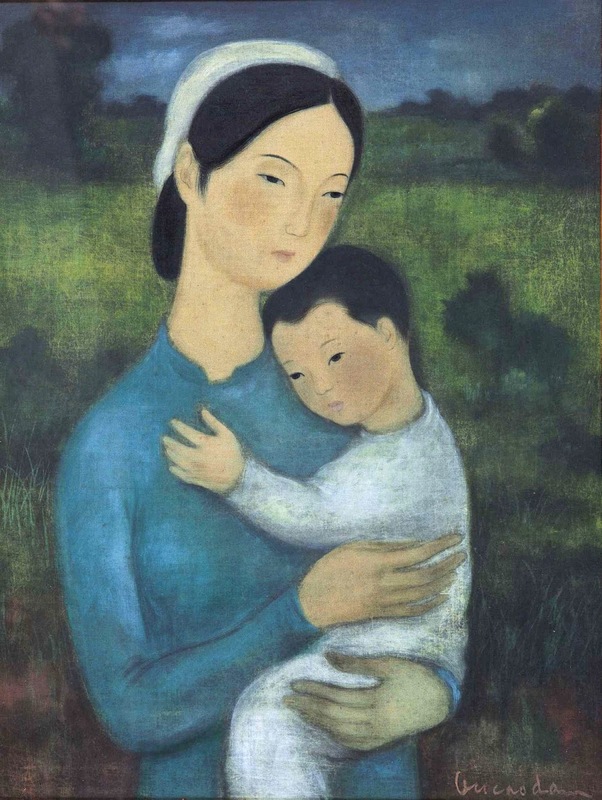 A member of a large Catholic family, the artist was the fifth of fourteen children. 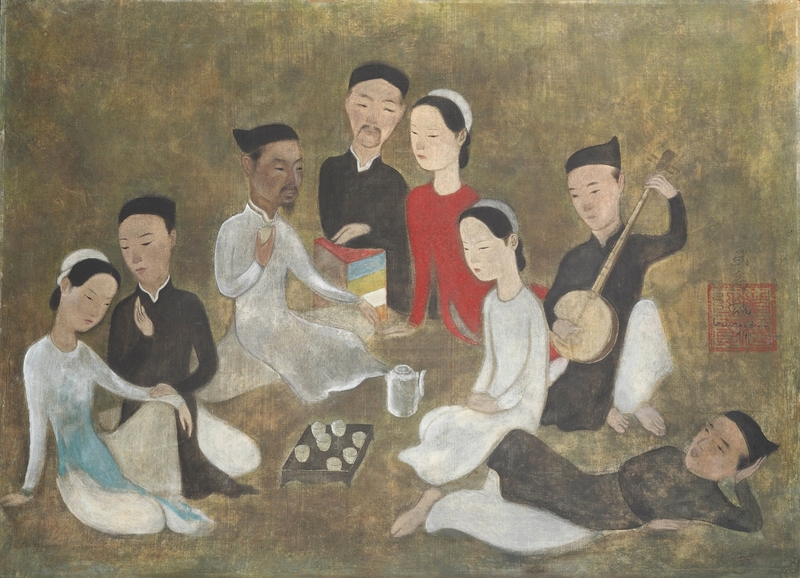 His father, Vu Ding Thi, was an intellectual and talented artist who excelled in Chinese calligraphy at an early age. 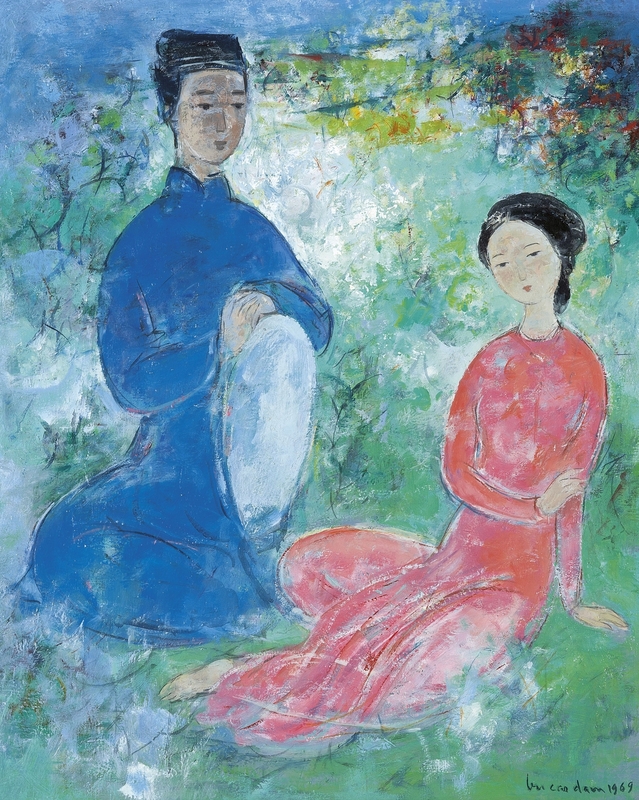 His extensive studies of the French language, as well as a trip to Paris in 1889, left Vu Dinh Thi with a long-lasting fondness for French culture. 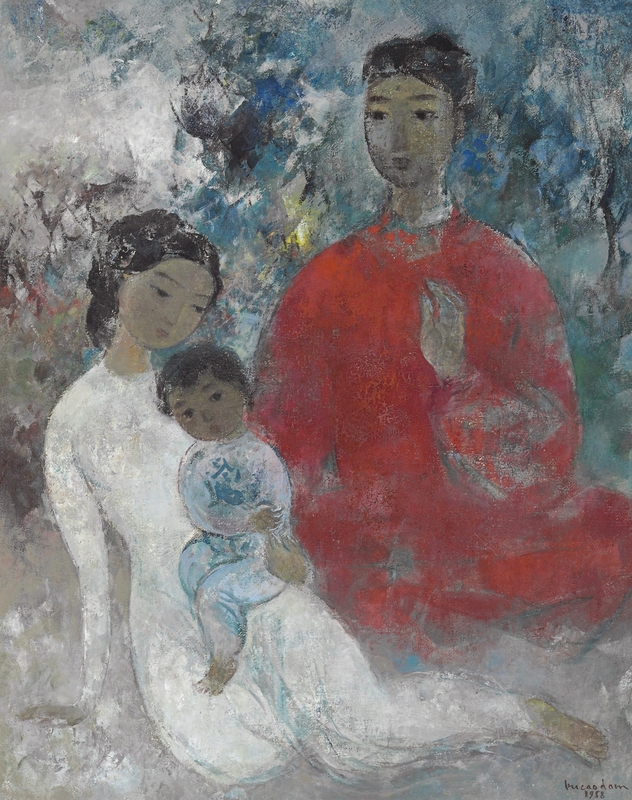 This affection was passed on to his children, and Vũ Cao Đàm would develop his own deep admiration for French art. 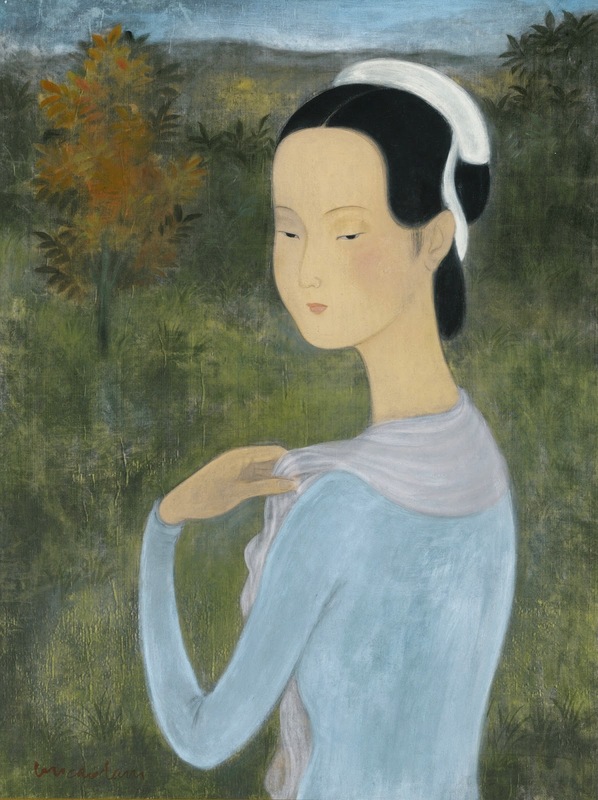 Throughout his career, Vũ Cao Đàm continually looked to the work of French artists for inspiration. 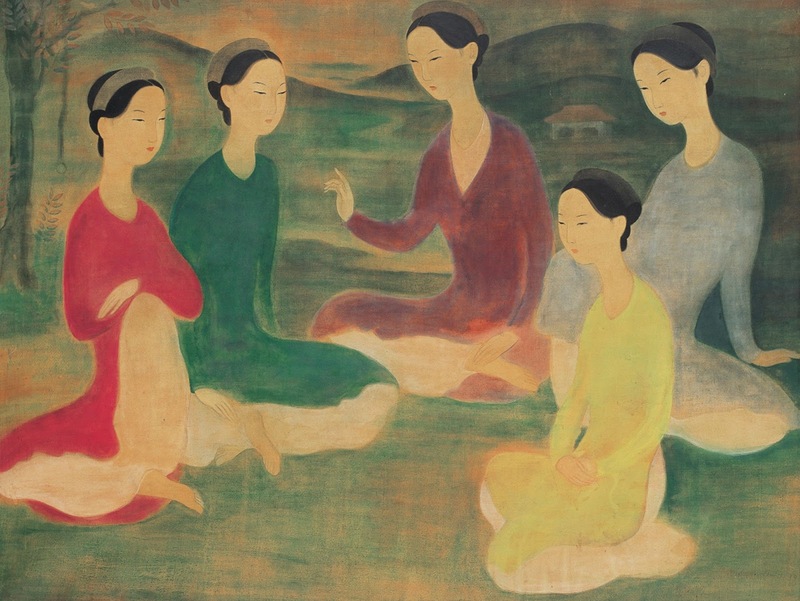 In 1926, eighteen-year-old Vu Cao Dam entered the École des Beaux-Arts d'Indochine as a sculpture student. 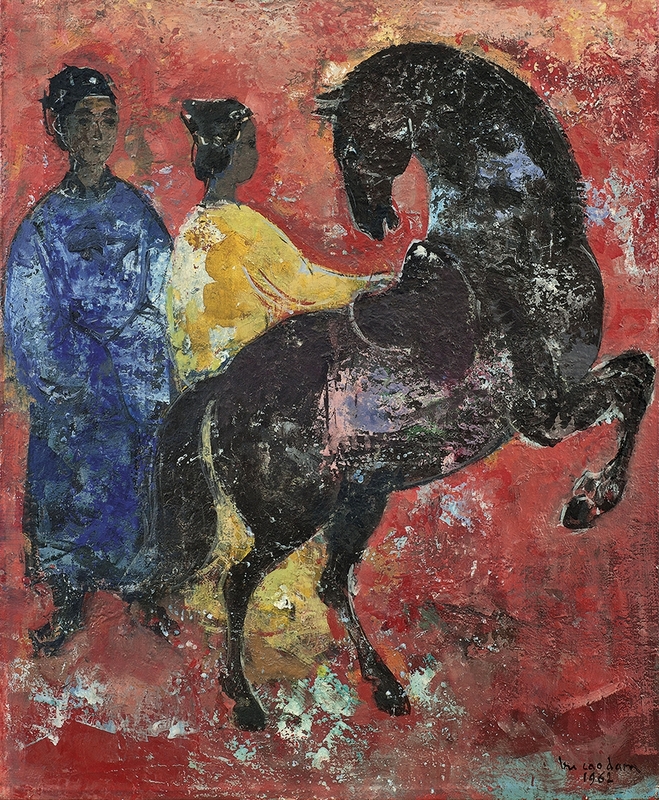 Through the teachings of Victor Tardieu, he was introduced to Western oil paintings and sculpting styles. 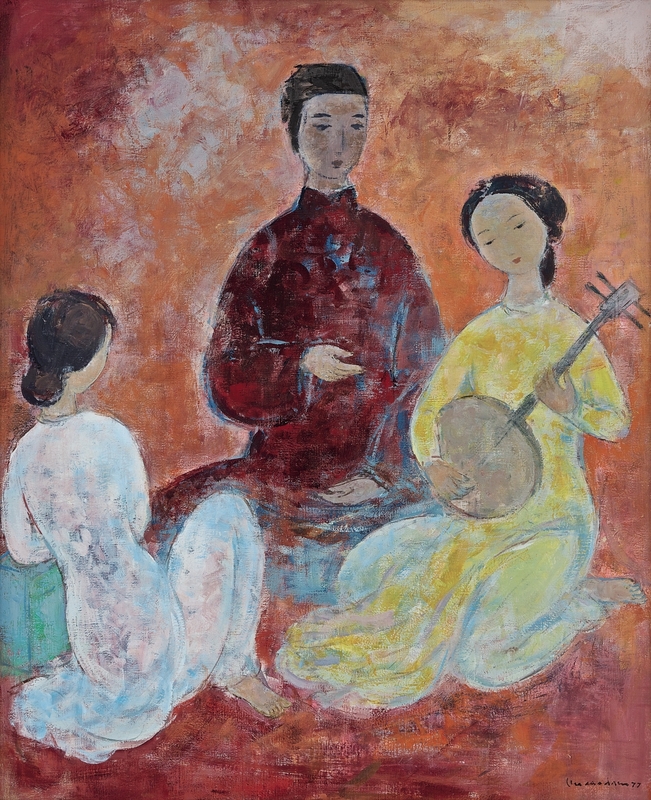 However, students were also encouraged to be Vietnamese painters, sculptors and architects, learning traditional techniques such as painting on silk. 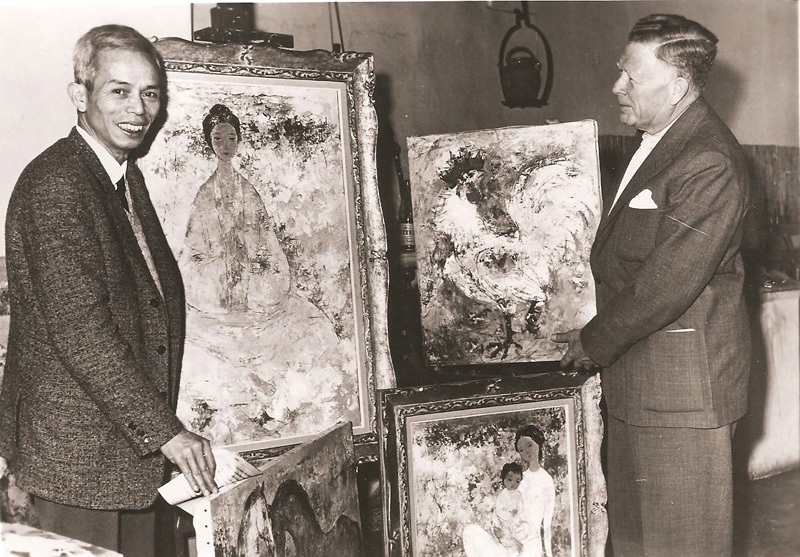 As one of two students in a brand new sculpture department, Vu Cao Dam excelled in modeling busts. 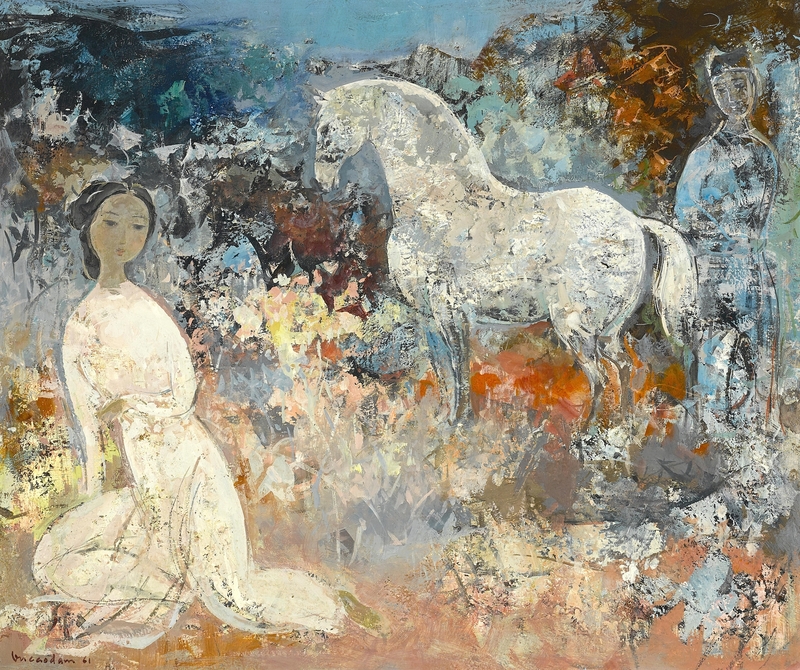 Over the course of the five-year program, the emerging artist created numerous bronze pieces including: Tete de Jeune Fille, 1927; Young Peasant Girl, 1927; a bust of his father, Vu Dinh Thi, 1927; Rooster, 1927; Bust of Victor Tardieu, 1928; and Head of a Man with a Mandarin Hat, 1930. 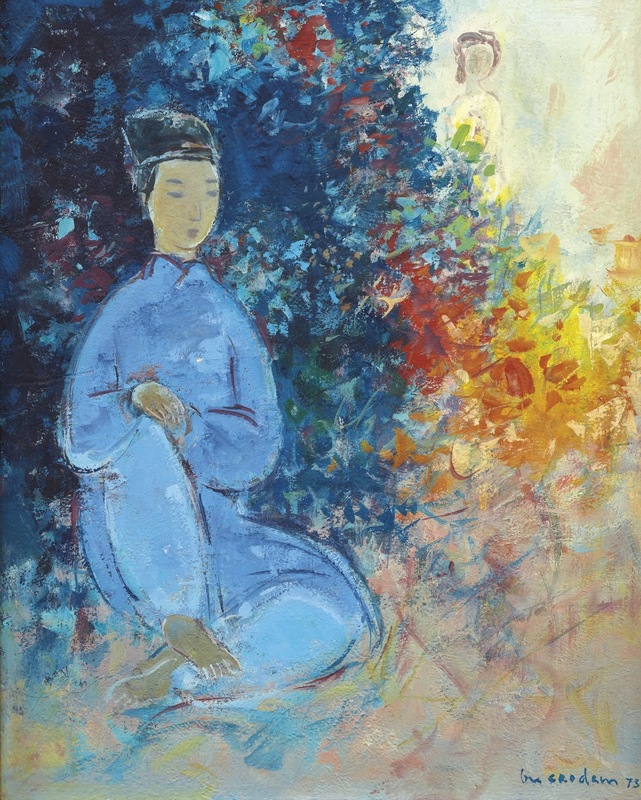 The bronze bust of Victor Tardieu was later donated to the Ecole des Beaux Arts d’Indochine by the Tardieu family. 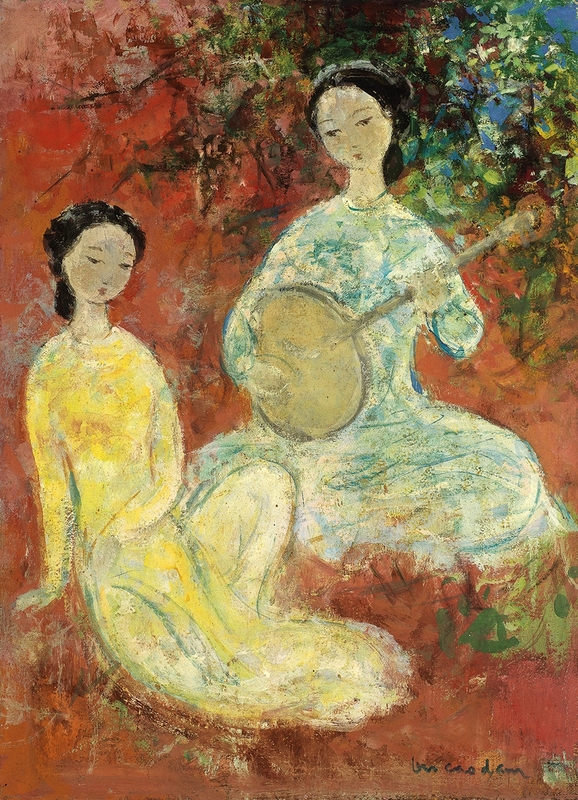 Upon graduating from the fine arts school in 193l, Cao Dam received a scholarship that sent him to France to continue his studies. 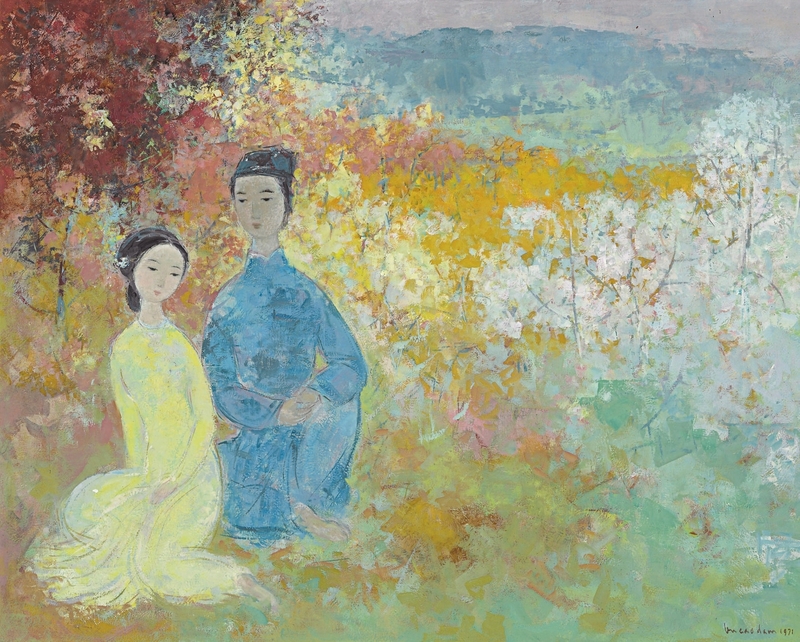 This journey to France would be a significant turning point in his life, as Vu Cao Dam would never return to his homeland of Vietnam. 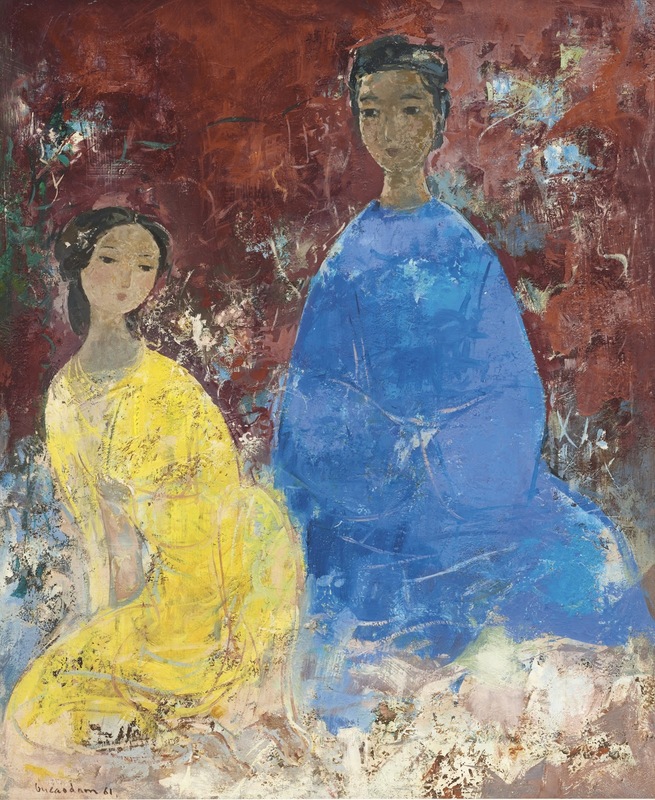 Cao Dam settled at the Cite Universitaire in Paris, and was soon invited to participate in the 193l Exposition Coloniale Internationale at the Angkor Wat Pavilion by its art director, his old mentor Victor Tardieu. 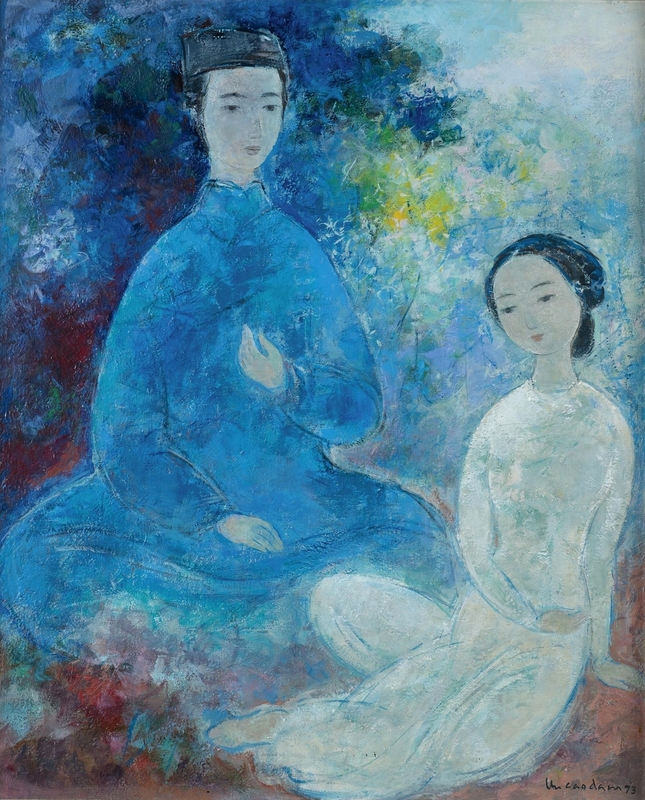 He then enrolled in the Far East section of the Ecole du Louvre. 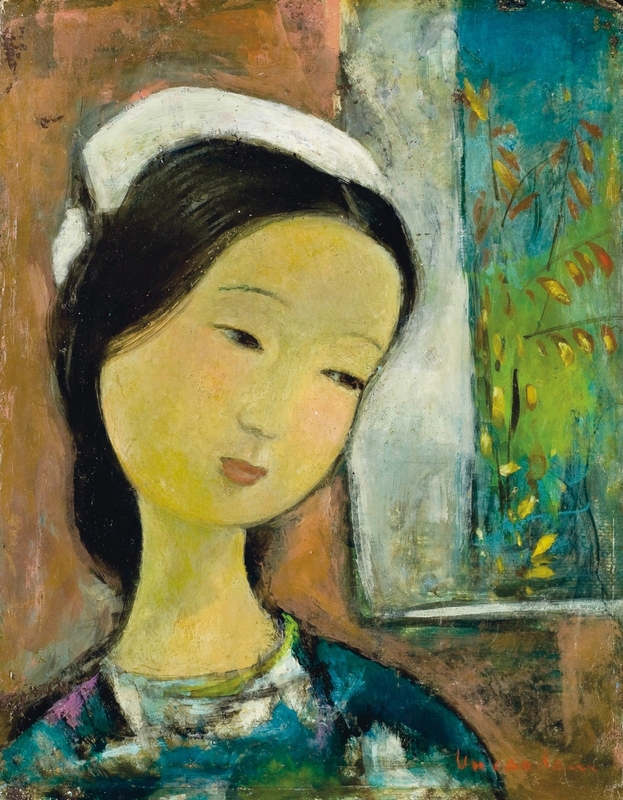 Within the walls of the great museum other galleries scattered around Paris, Vu Cao Dam was able to view and study the great European masterpieces. 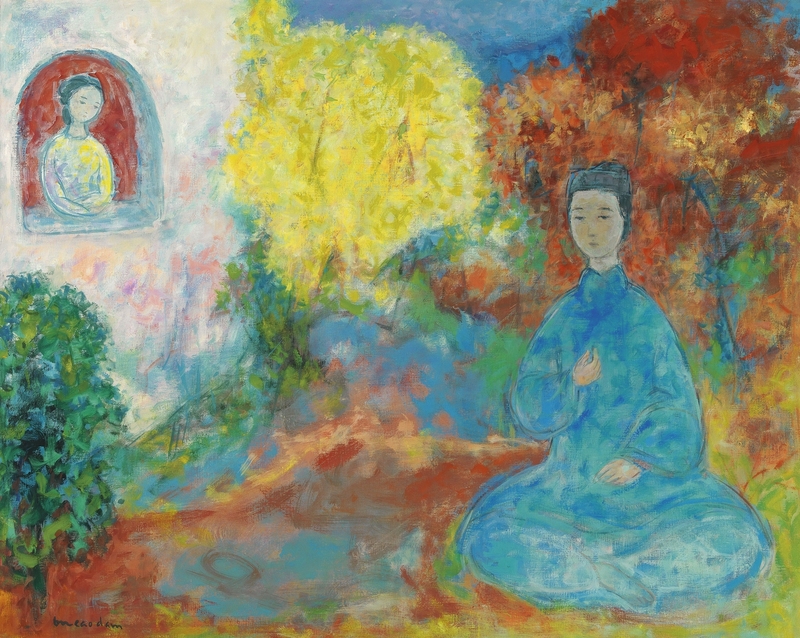 He made great discoveries in the works of Renoir, Van Gogh, Bonnard, and Matisse, as well as the sculptural creations of Rodin, Despiau and Giacometti. 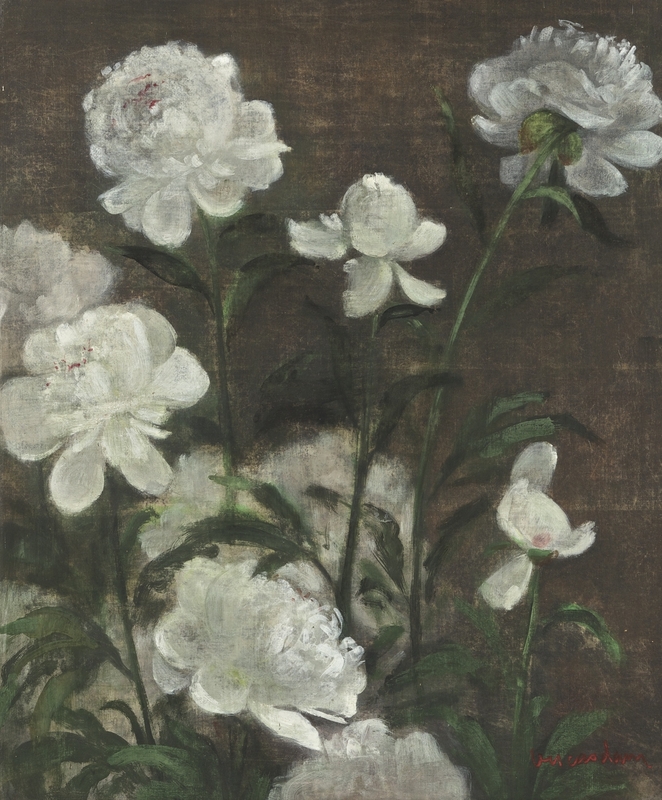 As a young artist in his formative years, the art of Paris was a fantastic source of learning and inspiration. 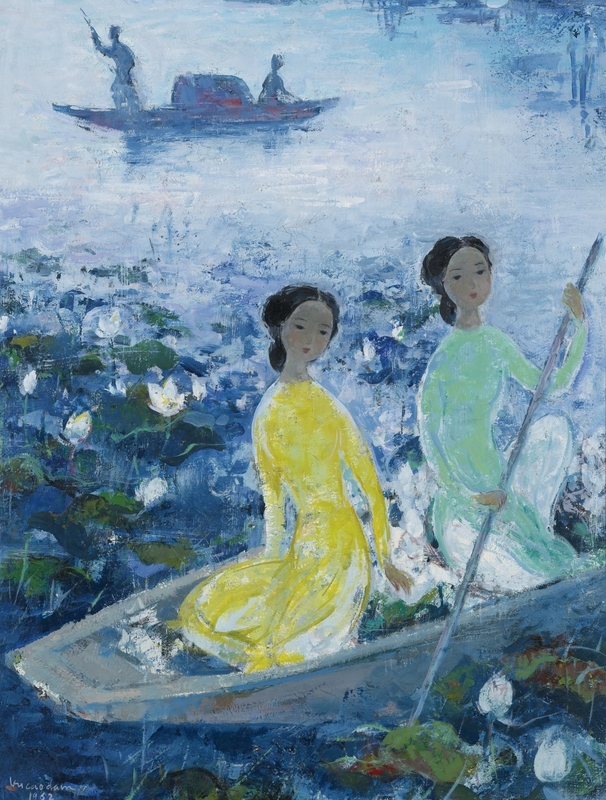 Impressionist and Post-Impressionist elements would always find their way into Vu Cao Dam’s future creations. 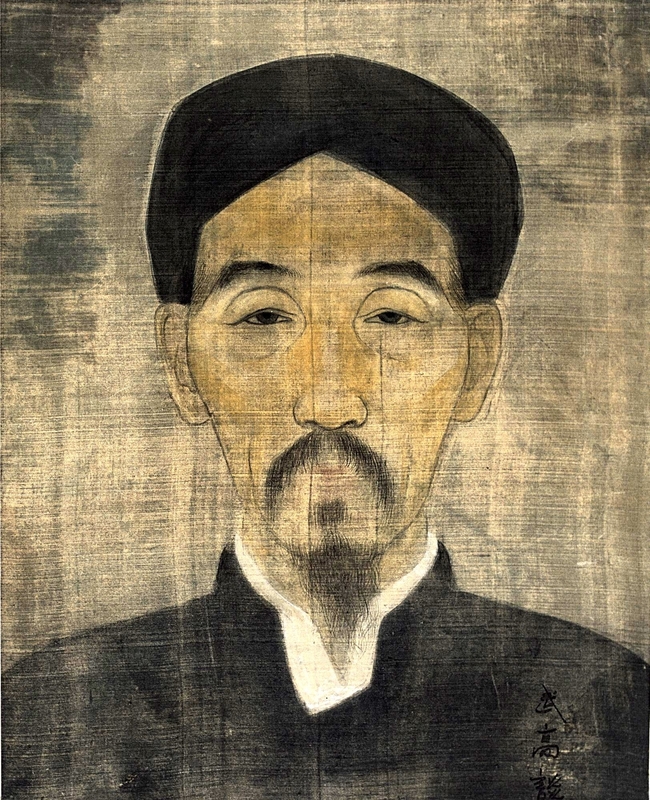 When War World II broke out, Vu Cao Dam was forced to interrupt his work in bronze casting, as all metal was claimed by the German army occupying France. 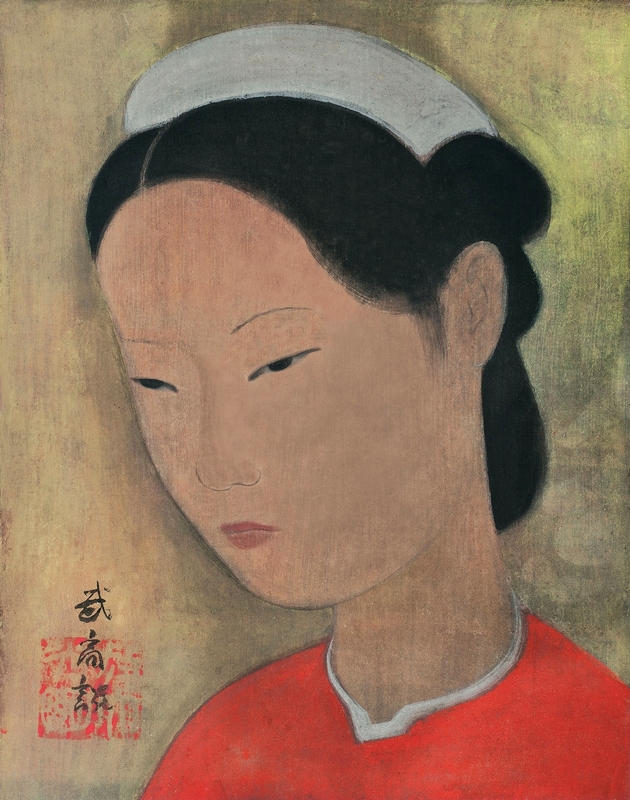 As a result, the artist turned his concentration to other mediums and produced some of his finest paintings during the war period. 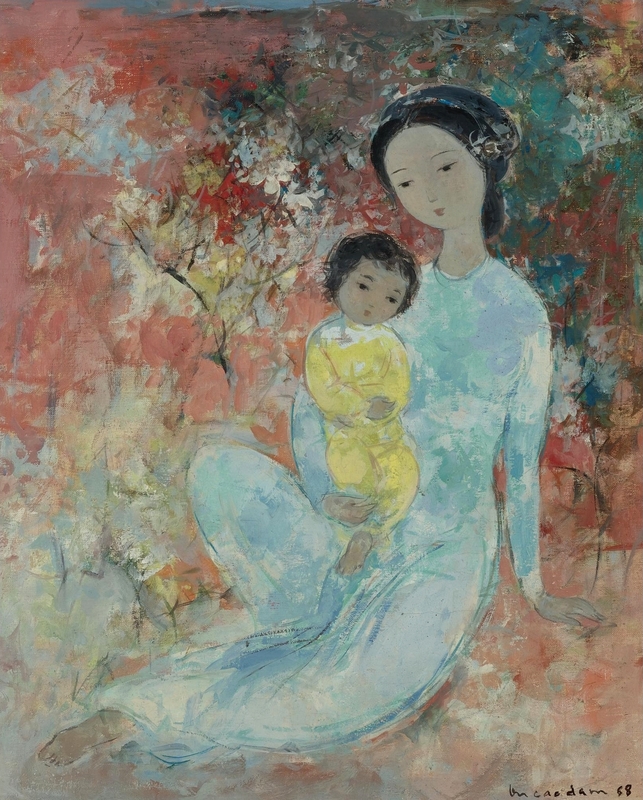 By 1946 the artist was becoming increasingly well-known and appreciated in Parisian art circles. 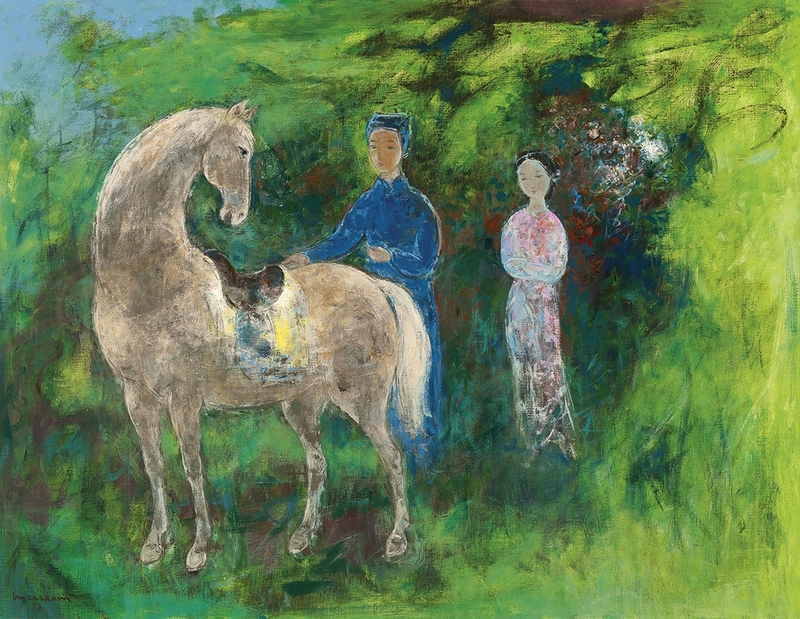 That same year Ho Chi Minh, President of the newly declared Democratic Republic of Vietnam, arrived in Paris. 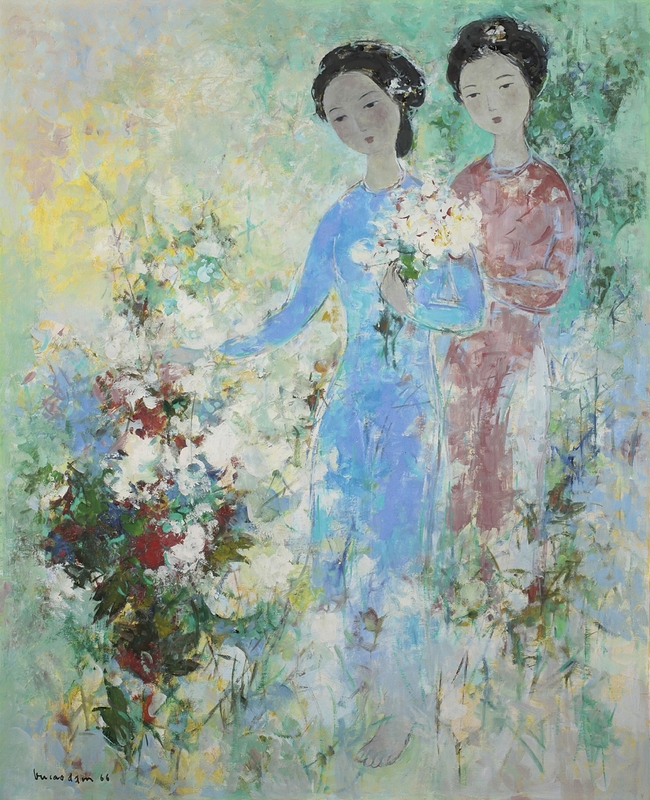 Vu Cao Dam met with the Vietnamese leader and modeled a bust after him. 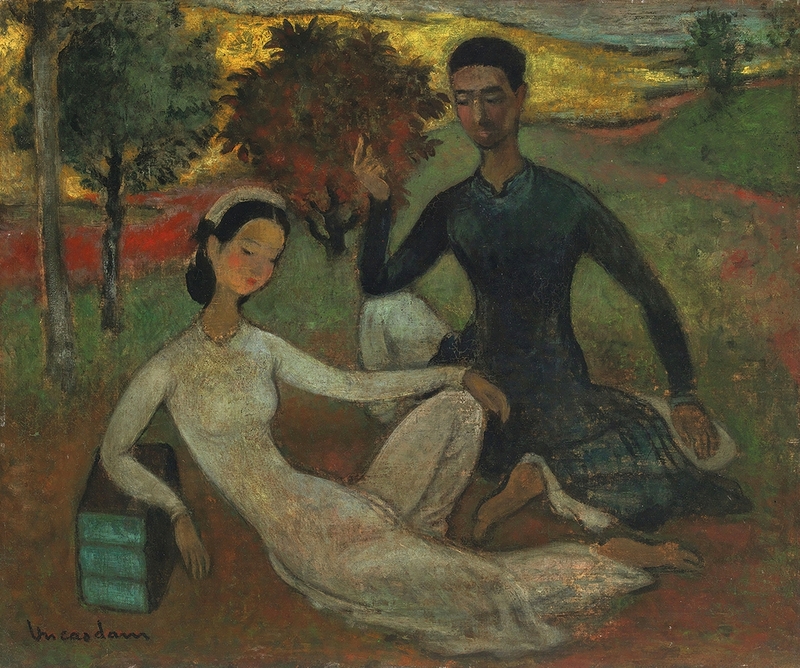 For health reasons, Vu Cao Dam made the decision to leave Paris in 1949, and move to southern France. 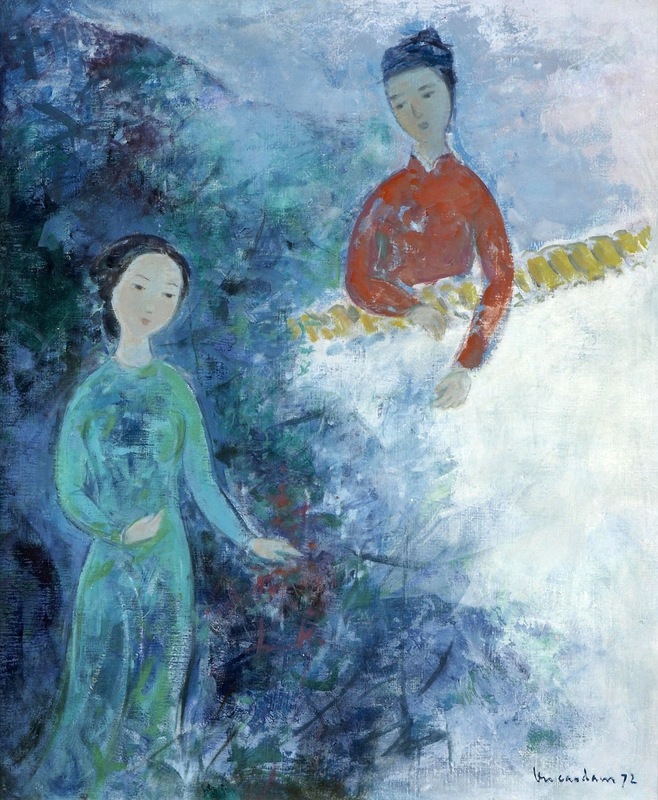 Moving his family to the villa Les Heures Claires, the artist settled just down the road from Matisse’s Chapel and only a mile away from where Marc Chagall was living in les Collines. 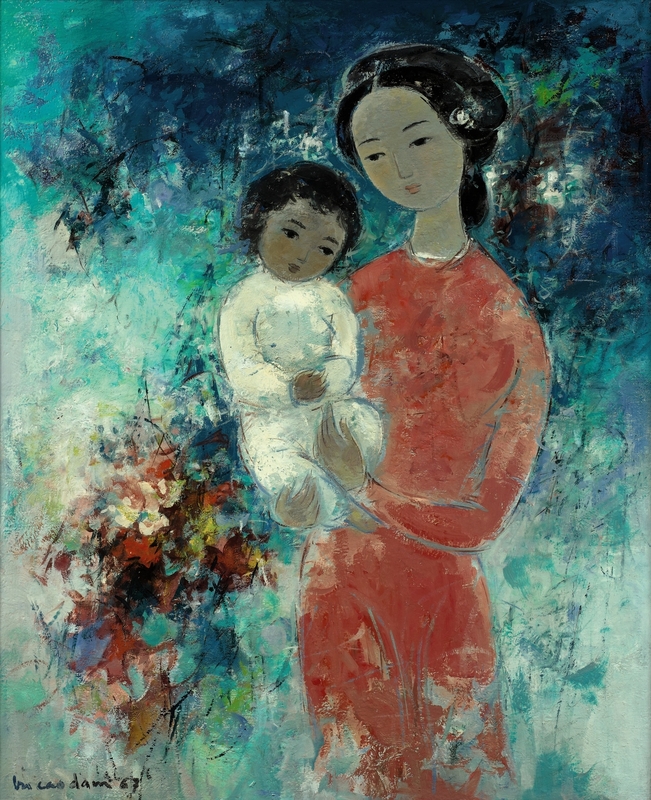 Cao Dam was not only influenced by Chagall and the other members of the Ecole de Paris, but by the Art Brut artists as well, including Dubuffet and Malaval. 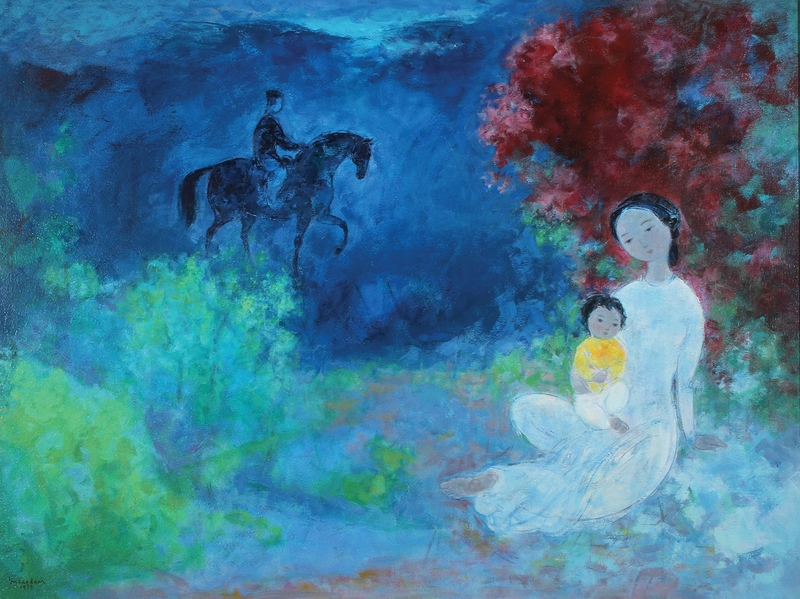 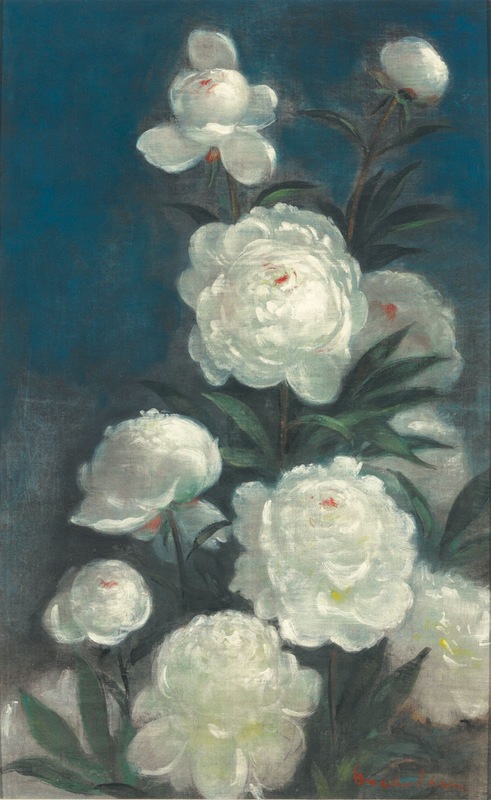 The light and atmosphere of southern France also proved to be a heavy influence on Cao Dam’s paintings from this period. 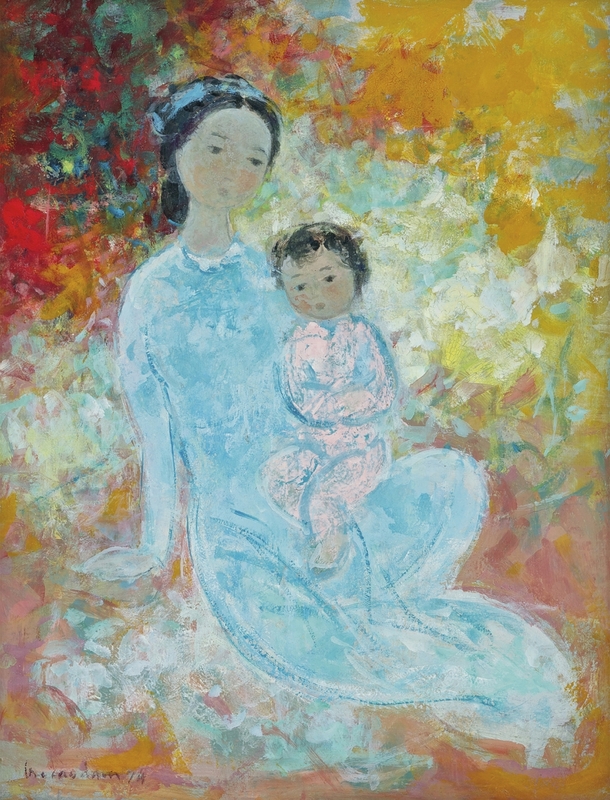 In 1954, he presented his paintings at the Les Amis des Arts gallery in Aix en Provence. 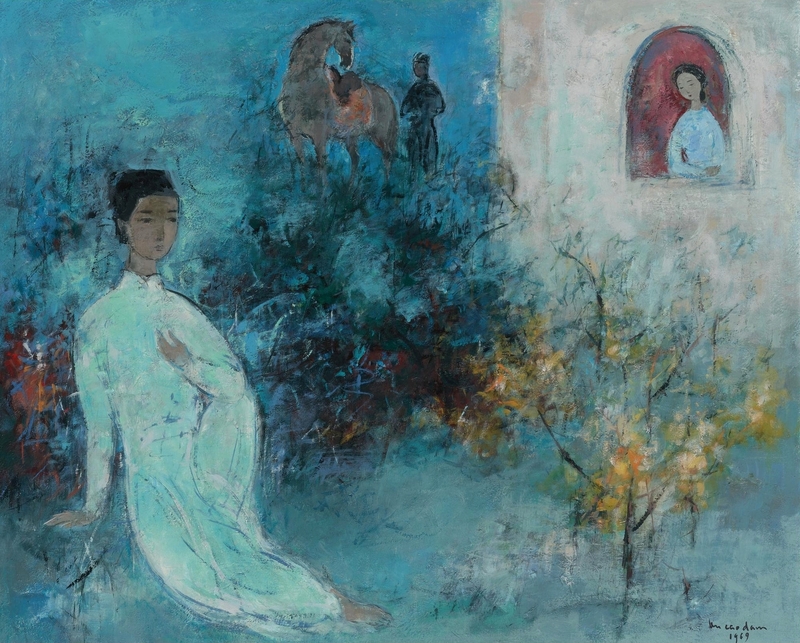 Paul Hervieu, the dealer and owner of a gallery in Nice, struck up a friendship with the talented Vietnamese artist, and began exhibiting his paintings regularly in Nice as well as overseas, especially in Sweden. 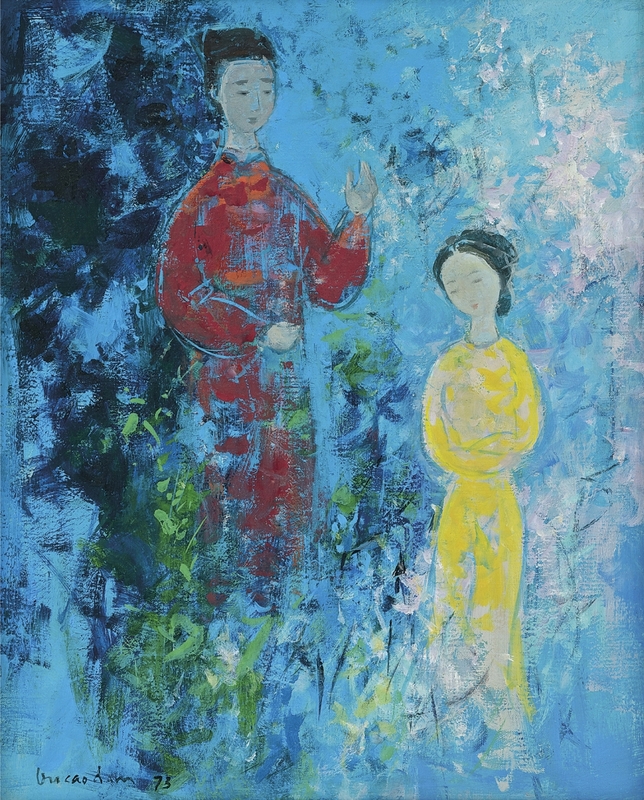 Around this time Vu Cao Dam met the famous tailor, Michele Sapone. 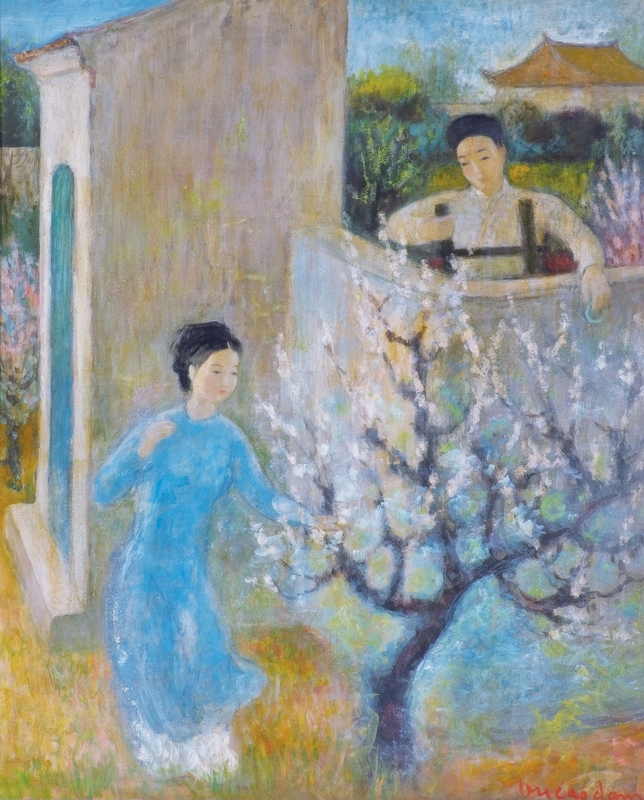 Filling his shop on the Rue de Chateauneuf in Nice with over 450 paintings and drawings by different artists, the Italian immigrant exchanged tailored suits for these artworks. 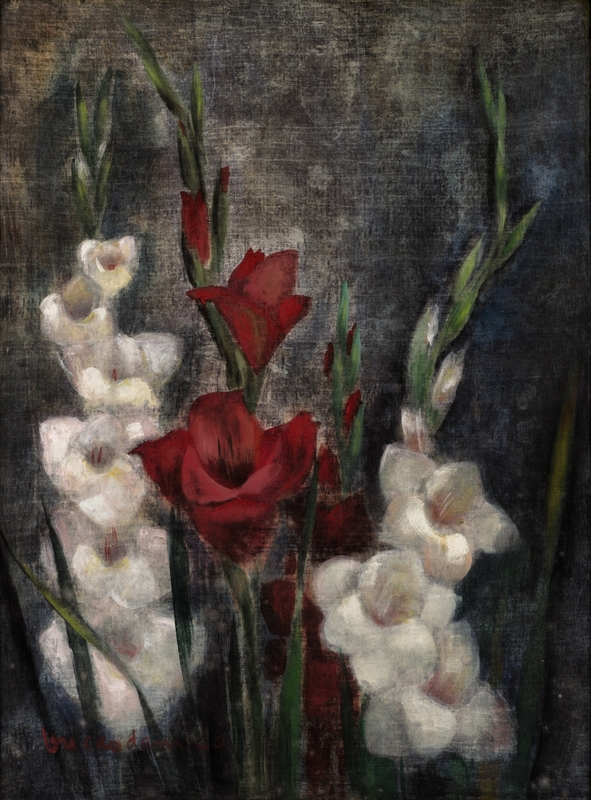 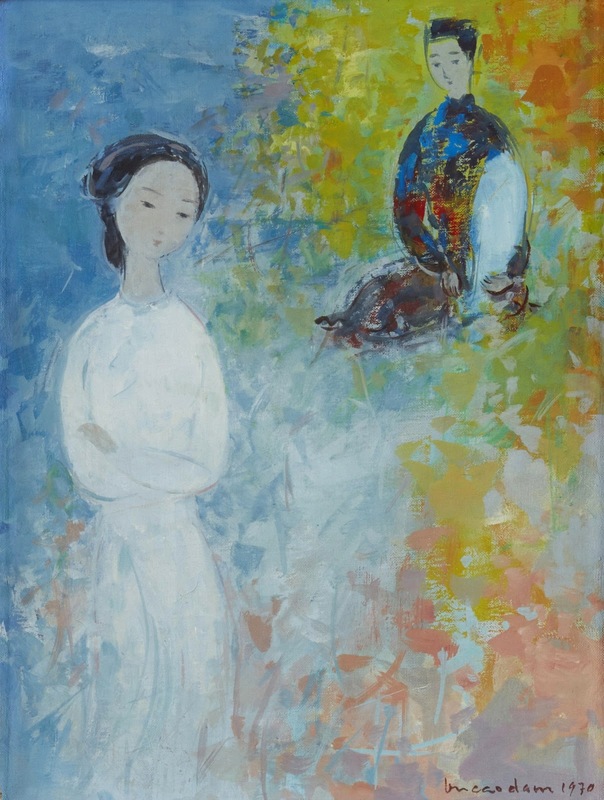 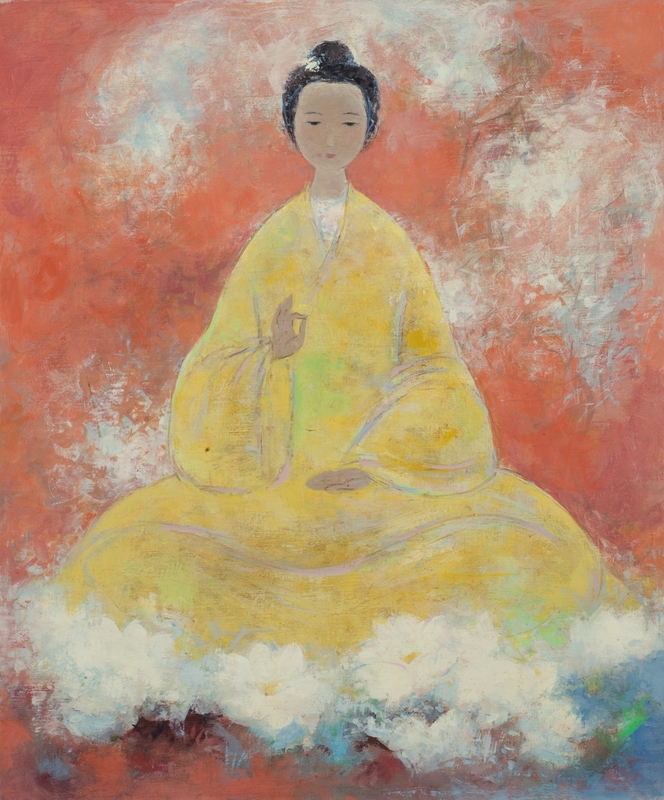 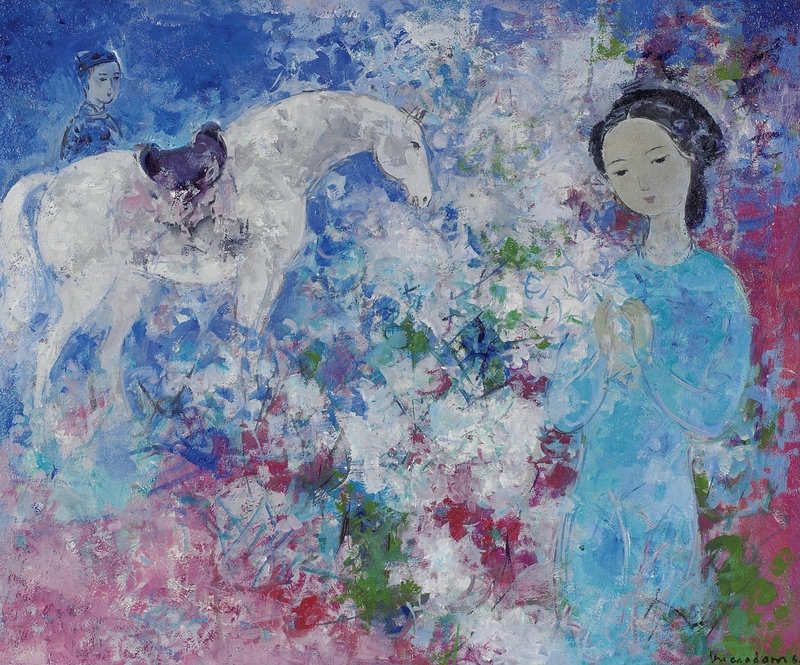 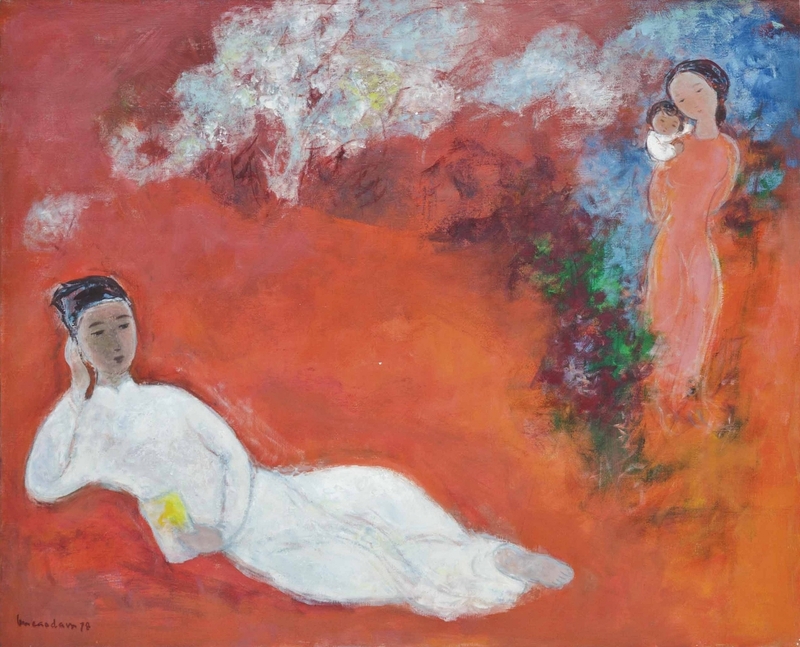 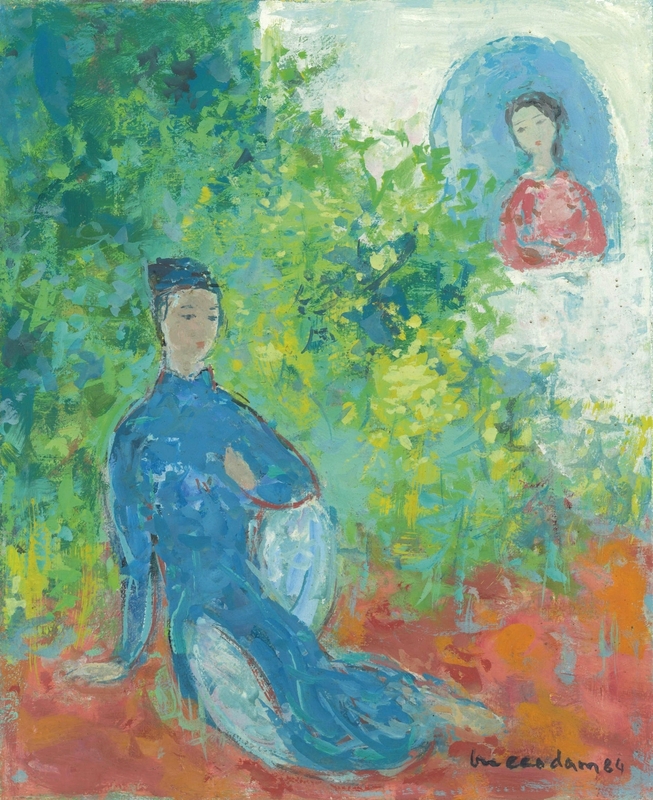 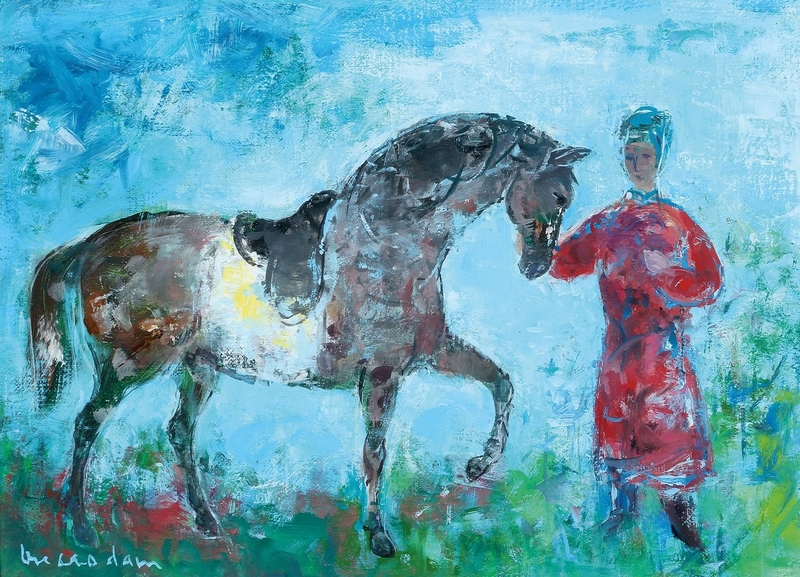 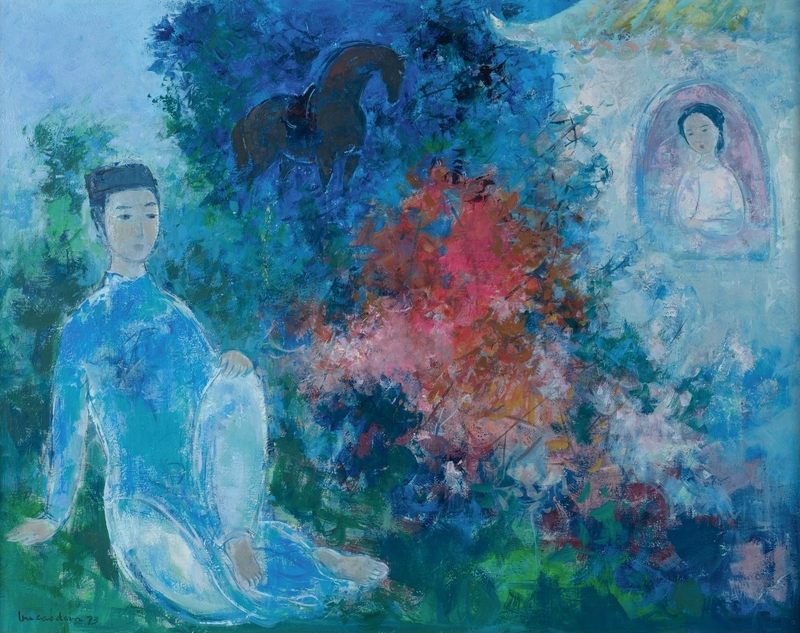 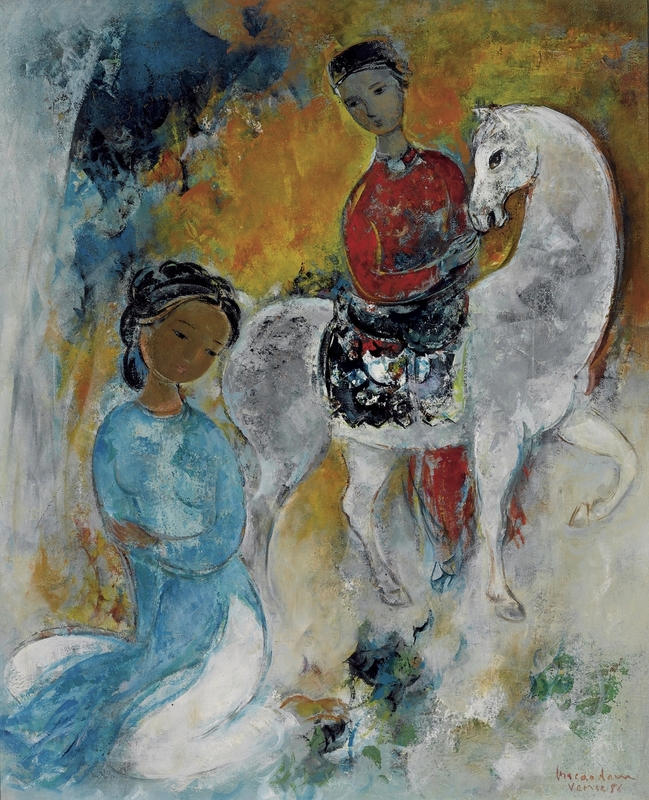 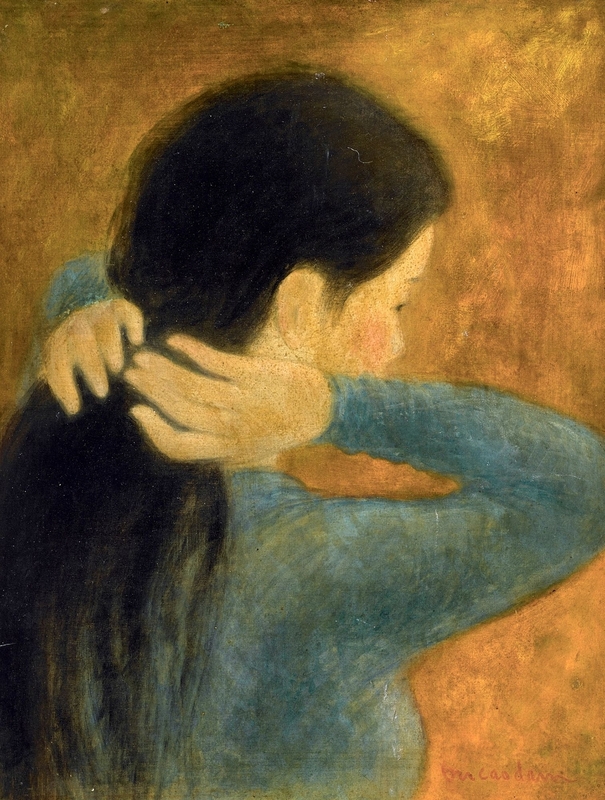 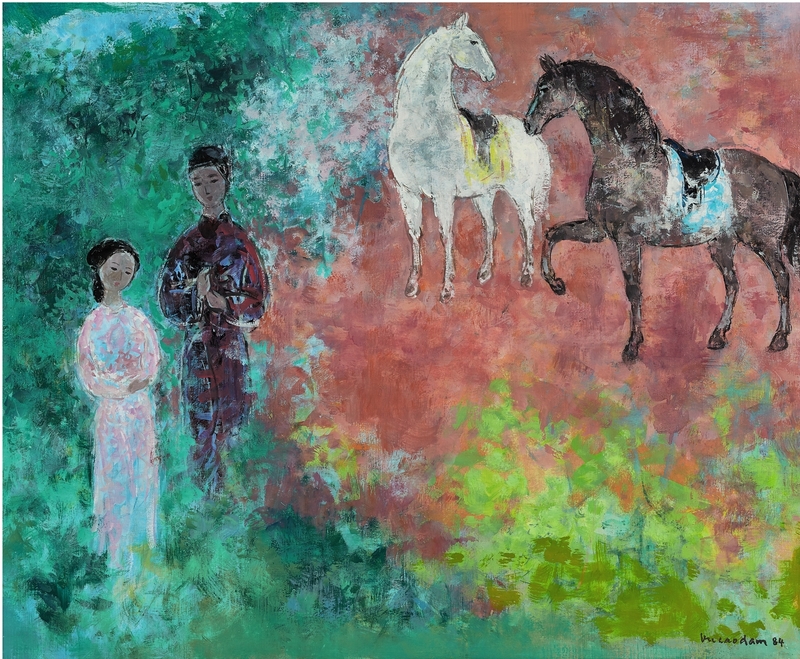 In 1960, Cao Dam exhibited his paintings in London at the Frost & Reed Gallery, and three years later his work was presented in Brussels. 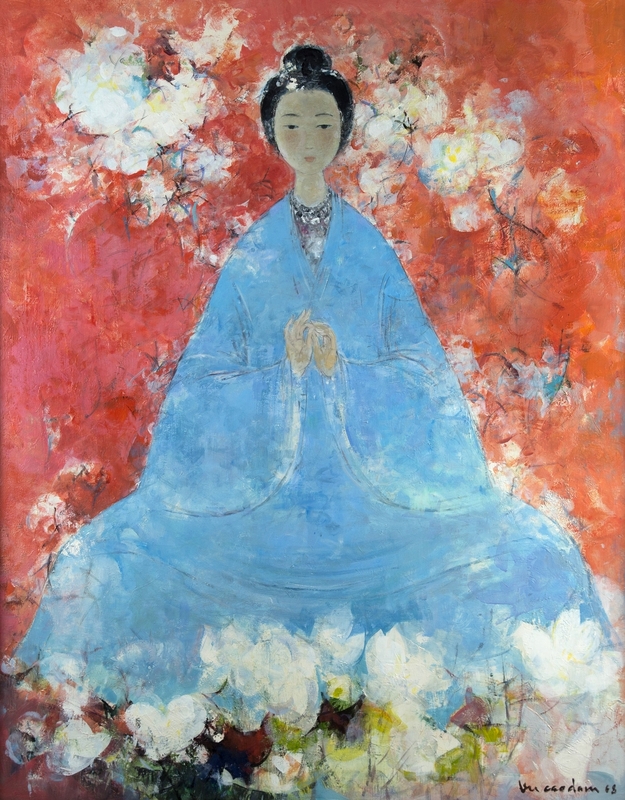 The artist then signed an exclusive contract with Wally Findlay Galleries in the United States.